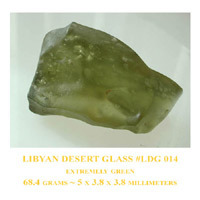 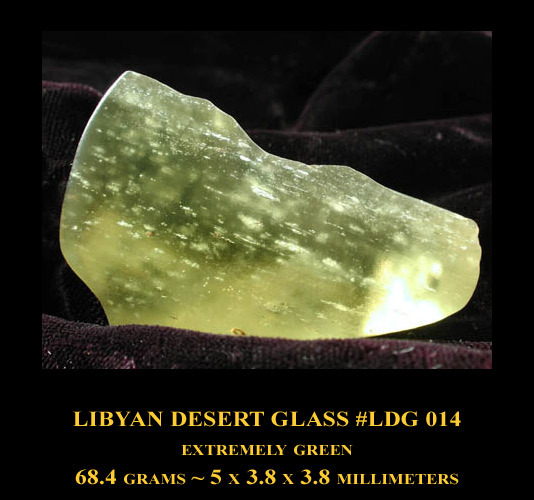 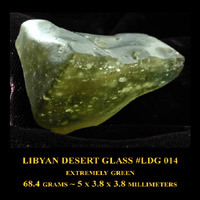 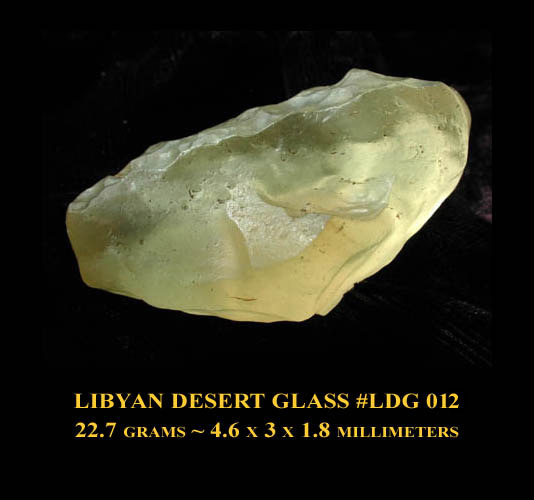 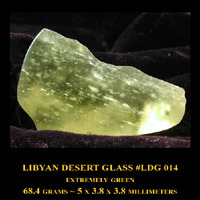 'Libyan Desert Glass is one of the most unusual natural glasses ever described or seen. 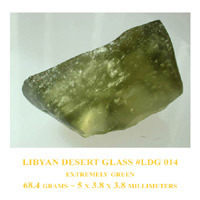 It is almost entirely made up of silica and is dispersed over a large area of the Great Sand Sea in Egypt. 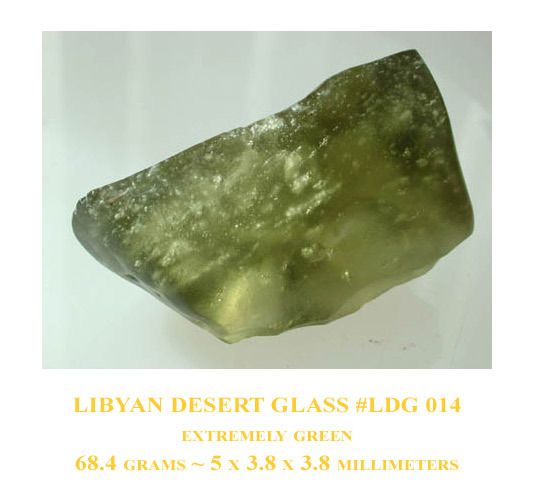 Analysis of the chemical composition of several different Libyan Desert Glasses confirmed their close compositional relationship to the mature Sandstones of the Jurassic-Cretaceous era 71 - 195 million years ago. 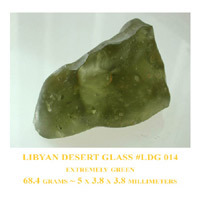 Testing results confirm that LDG's are impact-derived glasses (impactites), and have chemical features similar to Muong Nong tektites. 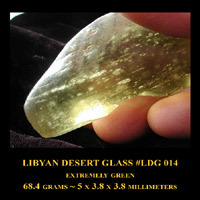 Possible inclusions are bubbles, Cristobalite, and sometimes dark streaks, but Libyan Desert Glass can be milky from thousands of bubbles or gem quality with almost no impurities.' 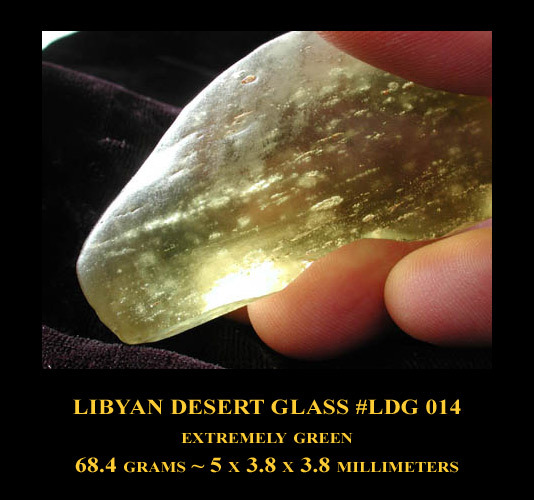 paraphrased from "Geochemistry and the origin of Libyan Desert Glasses" ©1997 Elsevier Science Ltd.